This Wheel Adapter Kit from Spidertrax makes it possible to convert your bolt circle on the axle from a 5 on 4-1/2" pattern to a 5 on 5-1/2" bolt pattern! They also provide 1-1/4" of extra outward wheel spacing. 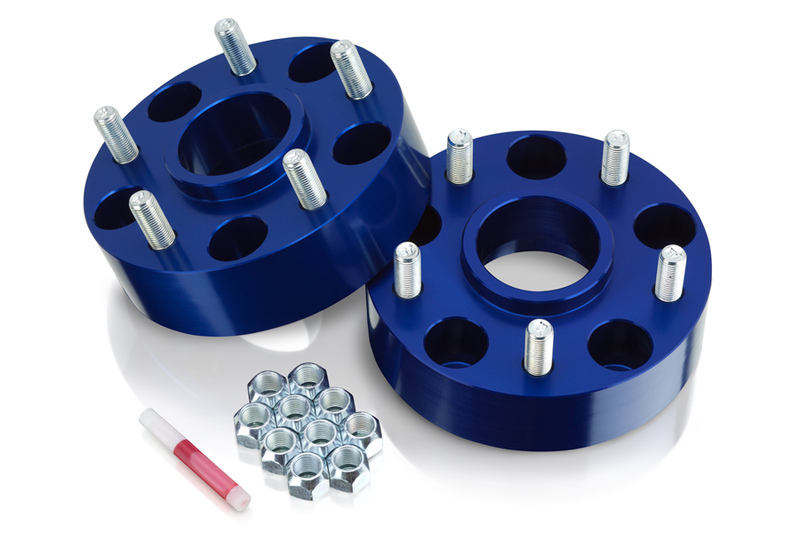 Made of 1-1/4" thick 6061T6 Aluminum, they are also double anodized in dark blue for double the corrosion resistance. 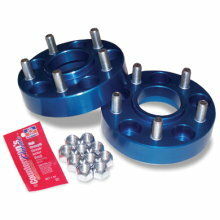 Each kit comes with 2 wheel adapters, 10 standard wheel studs (pre-installed), 10 lug nuts, and Loctite. 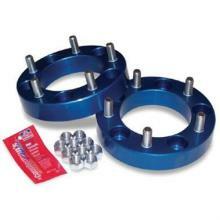 For vehicles with a stock wheel bolt pattern of 5 on 4-1/2". Made in the USA.